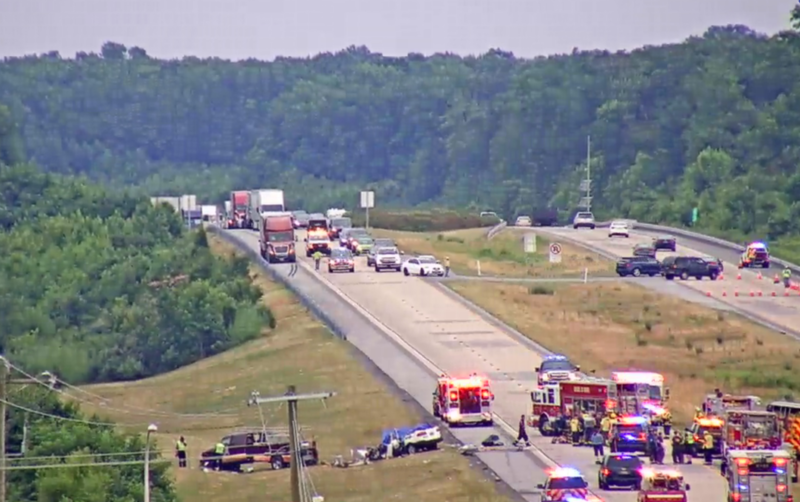 A Delaware Grand Jury has indicted Alvin S. Hubbard, III, 45, of East New Market, Maryland, in connection with this summers deadly Route 1 crash in Townsend, according to court records. Hubbard is facing five felony counts of second-degree vehicular homicide in the deaths of a father and his four daughters. 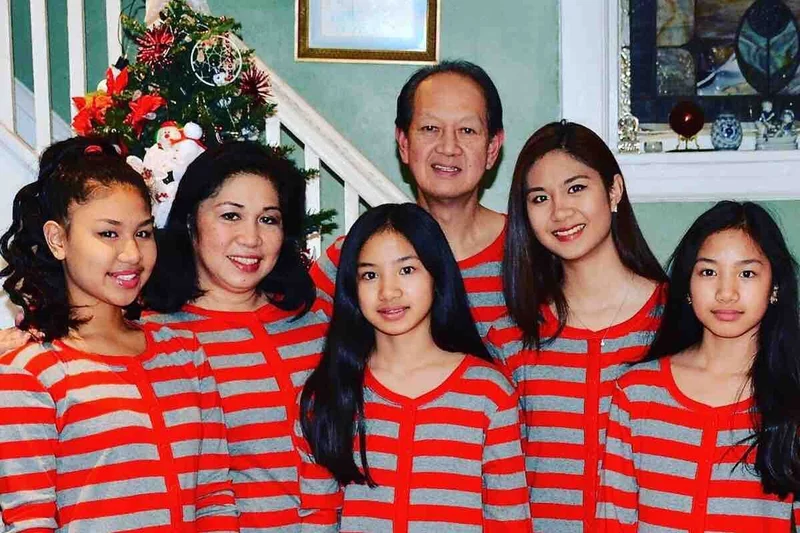 Audie Trinidad was killed in the July 6, 2018 crash along with his daughters, Kaitlyn, Danna, Allison, and Melissa Trinidad, all of Teaneck, New Jersey. The mother, Mary Rose Ballocanag, the lone survivor from the Trinidad vehicle, suffered serious injuries as a result of the crash and had to be hospitalized for her injuries. Hubbard is also facing three misdemeanor counts of vehicular assault stemming from injuries suffered by Ballocanag and two others involved in the crash. Brian Turner and Brian Kern were also seriously injured during the crash. 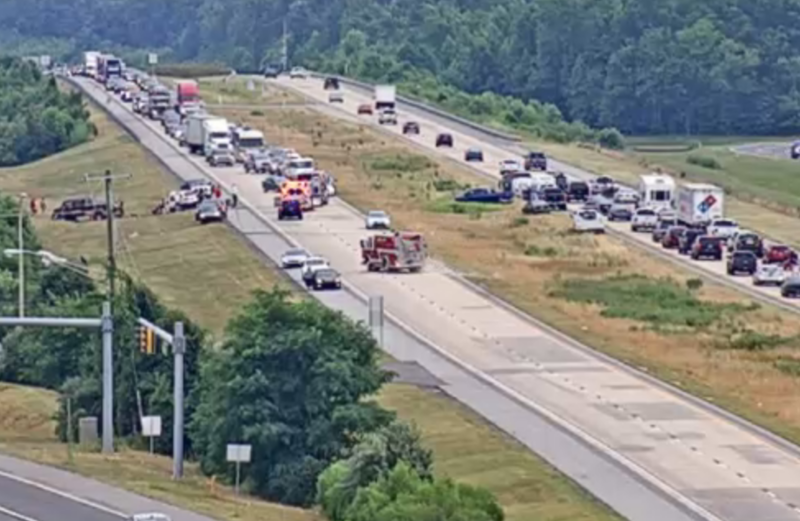 Townsend – The Delaware State Police Collision Reconstruction Unit is continuing to investigate a multi-fatal crash involving three vehicles that occurred yesterday afternoon, according to Public Information Officer, Master Corporal Melissa Jaffe. Jaffe said the initial investigation has determined that on Friday, July 6, 2018, at approximately 3:47 p.m., a 2007 Ford F-350 was traveling southbound, in the left lane on State Route 1 Highway (Rt. 1) in the vicinity of Noxontown Road. A 2002 Mercury Sable was traveling northbound on Rt. 1 just north of Pine Tree Road, and a 1998 Toyota Sienna was traveling a short distance behind the Sable. 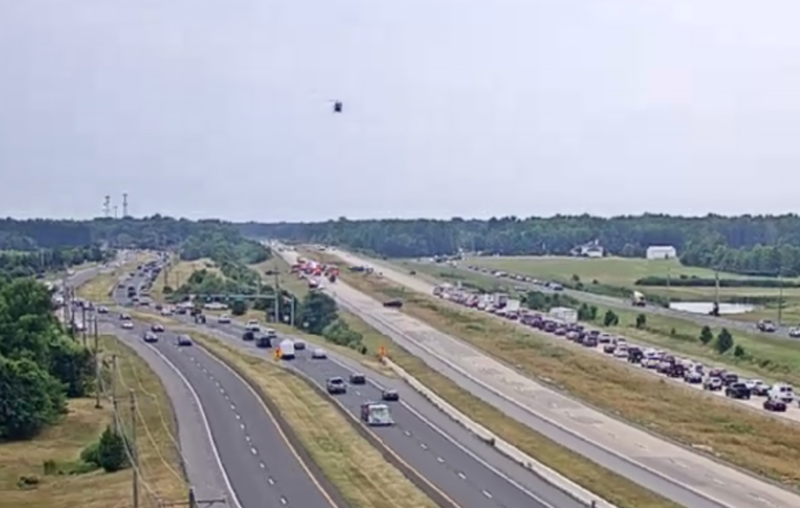 For unknown reasons, the F-350 failed to remain in the southbound lanes of travel and exited the roadway, crossing over the grassy median and into the northbound lanes of travel on Route 1. The front driver’s side of the F-350 struck the left rear side of the Sable, causing the Sable to spin out of control and come to a rest in an embankment. The F-350 continued out of control southbound in the northbound lanes, when the front of the Sienna struck the passengers side of the F-350. The impact caused both vehicles to be displaced off the edge of the roadway and into a ditch. 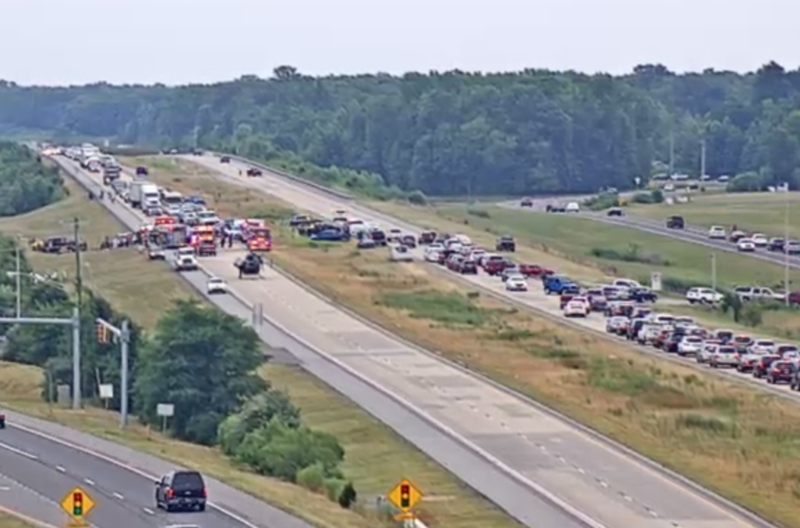 The operator of the F-350, a 44-year-old male from East New Market, MD, was transported to a local area hospital where he was treated and released with non-life threatening injuries. He was properly restrained and it is unknown if impairment is a factor on his behalf, said Jaffe. His passenger, a 30-year-old male from Hurlock, MD, was properly restrained and was also transported to a local area hospital where he was treated and released with non-life threatening injuries. The operator of the Sable, a 24-year-old male from Bethlehem PA, was transported to a local area hospital where he was treated and released with non-life threatening injuries. He was properly restrained and impairment does not appear to be a factor on his behalf. The operator of the Sienna, a 61-year-old male from Teaneck, NJ, was properly restrained and pronounced deceased at the scene. Also in the vehicle were his four daughters, ages 20, 17, and two 13-year-olds, who were not properly restrained, were pronounced deceased at the scene. His 53-year-old wife was properly restrained in the front passenger seat and was transported to a local area hospital where she was admitted with serious injuries. Southbound State Route 1 Highway in the area of Pine Tree Road was closed for approximately 90 minutes and the northbound lanes were closed for approximately 5 hours while the crash was investigated and cleared. The crash continues to remain under investigation by the Delaware State Police Collision Reconstruction Unit. All names are being withheld at this time pending notification of next of kin and family members. While Trooper 4 was returning to the scene Life Net transported the second patient to the trauma center. Within minutes Trooper 4 was ready to respond back to the scene but was recalled. Trooper 2 was also recalled.